Get 3 Free Minutes With Dancing Voice! Hi! I’m Danny and thank you for visiting my profile. 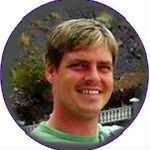 I am a Life Path and Tarot Reader with over 25 years’ experience. My readings can focus on any areas of your life, where you feel you need guidance as well as honest and straightforward answers. No matter the situation, I will offer you my genuine support to help you find the reasons and solutions to the issues at hand. I have a diverse clientele that range from well-known personalities, company executives to my family and personal friends. And with that said, here’s what you can expect from a reading with me! My readings will not provide you with a fairytale dream outcome if one is not there to be had. My readings are truthful and nonjudgmental. Working with your unique life path, I am able to see more details in a reading that allow for you to see why and how things are happening as they are. I can see into the past, present and future which enables me to pinpoint the problems you are facing. In all readings you are assured of nothing but the best insight into your situation to assure the most positive outcome for you. One important thing to remember when coming for a reading is that we are all born with the natural instinct of free will. This allows us not only to learn from past mistakes but also to make out own personal choices in life. This action has a huge impact on your life path and how your life takes shape. Therefore it is important to remember that although a reading can guide you to the best outcome, your own actions will also mold the outcomes we see. In summary, a reading with me will provide you with true and honest insight that will enable you to make the decisions you feel you need to make with regard to the issue at hand. That, in turn, will help you find the best direction to take for resolve. Renowned and Respected Reader with over 25 years reading experience. I started reading professionally when I was just 14 years of age. Since that time I have helped literally thousands of people to find peace and clarity in their lives. Studying the Life Path has been my passion for the last 10 years and enables me to offer very unique and guided readings.